Hybrids are hot. Or are they cool? Either way, they are the toast of the times because they save gas and emit less carbon dioxide. And nothing is as hip as zipping around in a Toyota Prius, so how about taking the concept to the water? The idea is as simple as it is effective: If you can use electric power some of the time instead of gasoline all of the time, you end up going farther on each tank. That means you have to refuel less often and you emit a lot less CO2 into the atmosphere. Following Toyota’s success, other automakers are rushing hybrid vehicles to market to improve their image and boost sales to eco-minded consumers. Will boats be next? 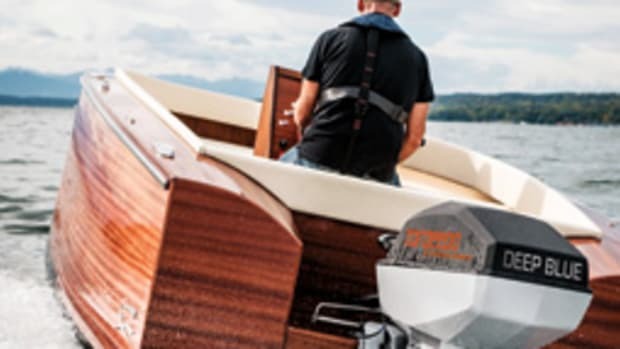 Steyr Motors, an Austrian firm, is betting this concept could become a winner for marine engines, combining the convenience and power of a diesel with the clean and quiet ride of an electric motor. 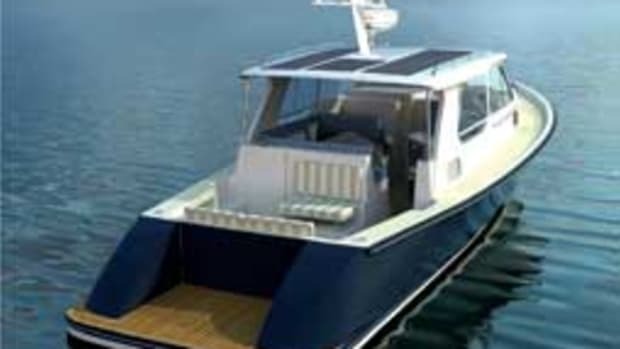 To avoid confusion: It is different from diesel-electric hybrids offered by Lagoon catamarans or Glacier Bay (manufacturer of the OSSA Powerlite system), which use generators to power electric motors. 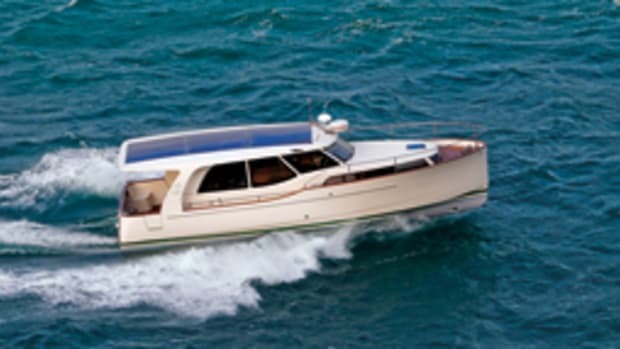 Steyr rolled out its hybrid at the 2008 Düsseldorf boat show in Germany, becoming the first manufacturer to offer a production hybrid system for boats. The technology was originally meant for the European market, where gas prices are pegged closer to an ounce of gold than to a barrel of crude and local boating laws restrict powerboat operation on many freshwater venues. Hence, the hybrid system was co-developed by Steyr and Frauscher, an Austrian boatbuilder that specializes in high-end runabouts. These vessels are popular on Alpine freshwater lakes, where authorities have clamped down on gasoline- or diesel-powered pleasure boats by banning them during the busy summer months, or by refusing to issue new registration numbers to prevent overcrowding. The exception: electric boats. Frauscher built those, too, and they were neat but not exactly exciting. So the company pushed for a solution that could go fast and go clean, satisfying legal requirements and keeping customers happy. And changing between diesel and electric modes had to be as simple as flipping a switch. It had to work like a Prius on the water. 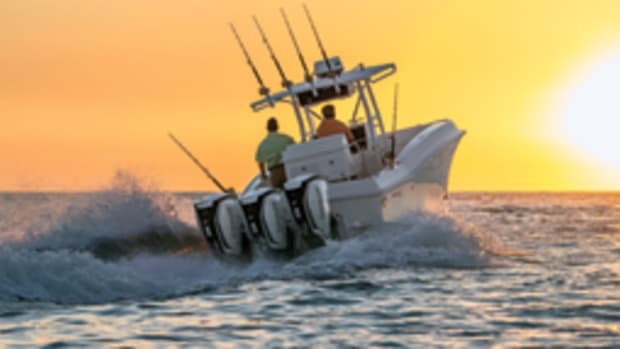 “Manufacturers have an obligation to provide consumers with technology that will allow them to pursue boating as a hobby while adapting to the new realities,” says Stefan Frauscher, who handles marketing and sales. 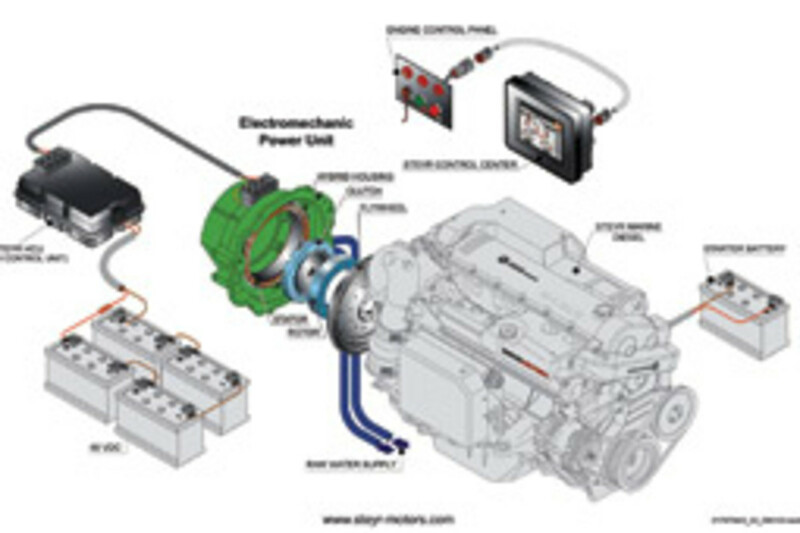 Steyr’s hybrid concept consists of a monoblock diesel and an electric drive unit that sits on the flywheel behind the diesel (an inline arrangement), where it couples and decouples from the drive shaft. 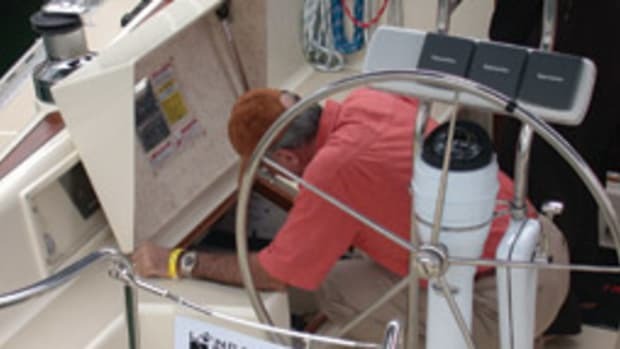 There are four modes of operation for the electric drive: as a starter for the main engine, in zero-emission electric cruise mode for trolling or for quietly slipping in and out of the marina, as a charger for the battery bank when the boat moves under combustion power, and as a torque-intense booster for the diesel turbo during acceleration. Steyr says the hybrid is available in various sizes from 55 hp to 295 hp and can be equipped with fixed shaft, sterndrive, jetdrive or Saildrive. 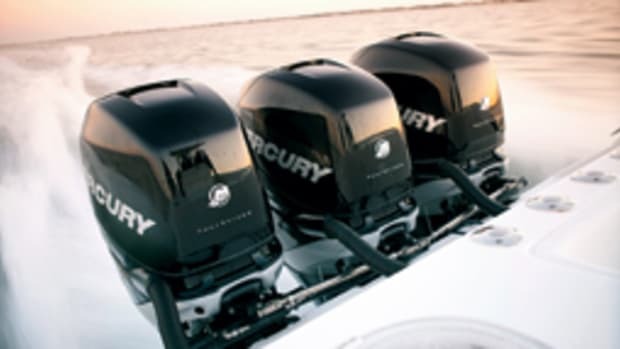 There are two important differences when comparing a hybrid boat to a hybrid automobile. First, boats can’t regenerate energy from braking like a car. Second, the aerodynamically shaped Prius has a distinct appearance, which makes a clear statement about the operator. That’s awfully hard to replicate with a hybrid power plant that’s tucked away in the engine room of a pedestrian-looking powerboat. But with a focus on performance, Steyr claims its system delivers more horsepower per pound than other units of comparable size. But, besides Island Pilot, Steyr did not name any U.S. power- or sailboat builders that have signed commitments for the hybrid. 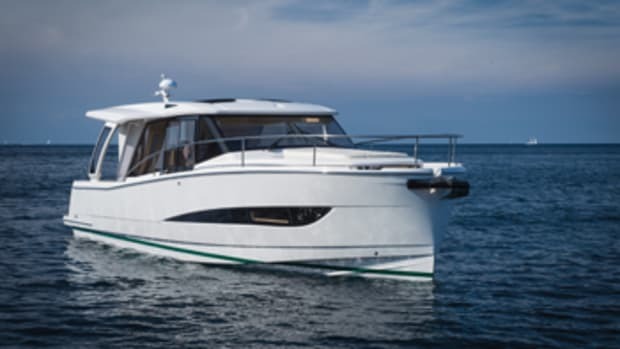 Sea Ray has been evaluating the technology in a 240 Sundancer. Even though Steyr has been successful with repowering projects and has a long list of reference installations on its various Web sites, pricing in North America is an issue. Currently, the 6-cylinder, 250-hp Steyr monoblock diesel is around $44,000, and the hybrid unit adds around $17,000. But Alley remains optimistic. These article originally appeared in the April 2009 issue.